Law Enforcement Exploring is a career-oriented program that gives young adults the opportunity to work with local law enforcement agencies. IT is one of the Exploring programs through Learning for Life, a non-scouting subsidiary of the Boy Scouts of America. This program is open to qualified adults, ages 14 (and have completed the 8th grade) through age 20. Explorers meet the first and third Tuesday of every month from 7:00 p.m. to 9:00 p.m. in Conference Room A at Lake Stevens City Hall. Meetings are spent learning about the different aspects of a career in law enforcement, as well as hands-on training and practical experience. Explorers are encouraged to do at least one ride-a-long per quarter and to document what type of calls they went on and what they learned. How Are Explorers Involved in the Lake Stevens Community? 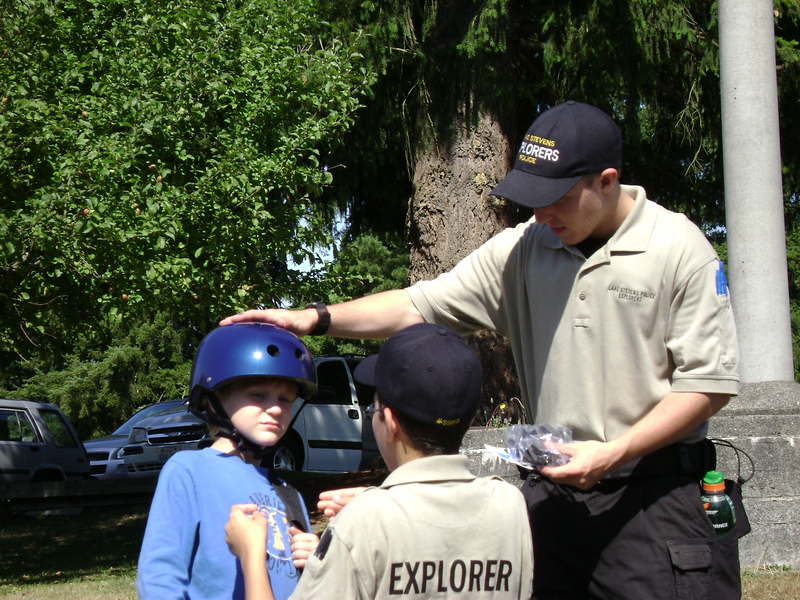 Explorers assist with community service projects, such as bike rodeos, Aquafest, Easter Egg Hunts, fun runs, food drives, ect. This not only gives the Explorers an opportunity to learn traffic and crowd control, communication skills, radio procedures and working as team, it also gives them the opportunity to network with people working in the law enforcement field. Lake Stevens Police Post 87 has 16 Explorers and is continuing to grow. Interested Explorers are welcome and encouraged to attend meetings before filling out their application. They can attend any meeting during the month (first and third Tuesday at 7pm). If you have questions or are interested in joining the Explorers, please call the police department at 425-622-9401.